Musical Jewellery Box From the Music Box shop. 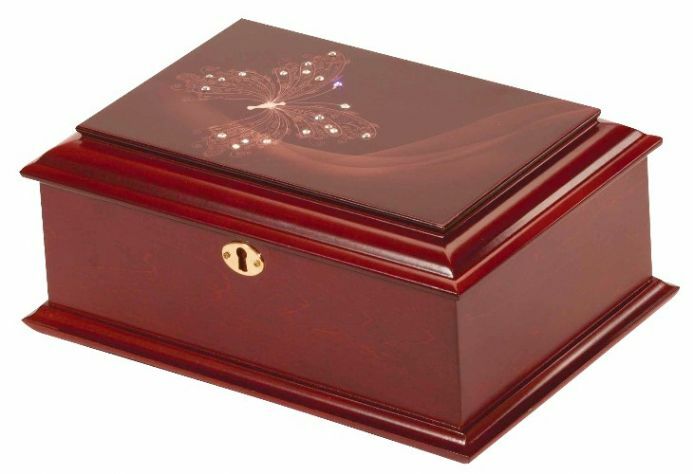 Beautiful wooden jewellery box with diamante butterfly pattern on lid. 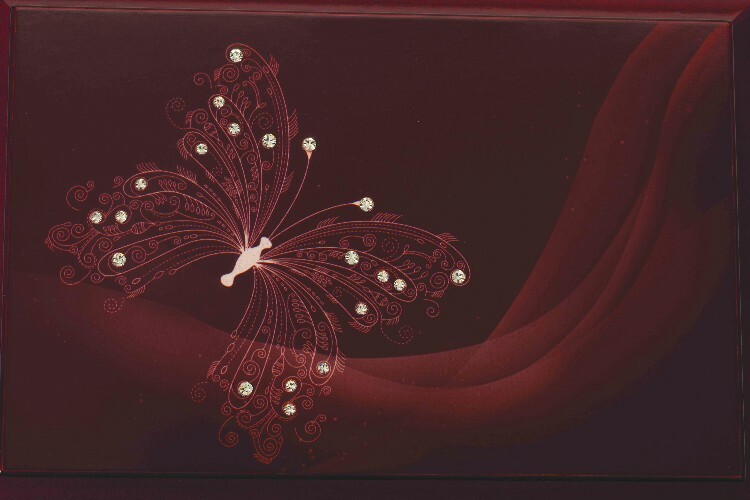 This unusual jewellery box is made from mahogany colour stained wood with a pretty butterfly print with diamante detail on the wings. 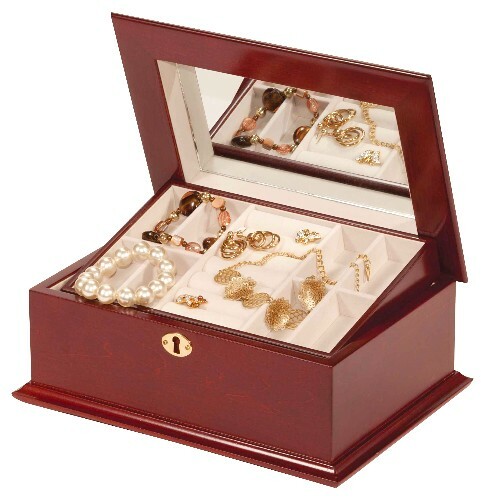 Inside the jewellery box there is a lift out tray that has lots of compartments and padded slots for rings. When the tray is lifted out there is a substantial amount of space for more jewellery. The inside is lined with cream baize which gives the box a stylish finish. Inserted inside the lid is a mirror. There is a mock lock in brass on the front of the box. Approx Size : 265 x 187 x 110 mm. IMPORTANT NOTICE - Please be aware that although these music boxes and the components inside are well sealed, they do contain small parts and a removable metal key. Therefore, they should never be considered suitable for very small children or babies. All children should be supervised at all times. If you are unsure about suitability, please telephone and ask one of our staff for guidance.